I used to think that blogging was as simple as writing it up and then pressing that publish button. Nope. There’s so much more to it than that. You have to plan ahead, take pictures, edit the pictures, write the post, re-read the post for spelling mistakes and so on. You also need to spend the time promoting your posts through various social media sites which can also take up a chunk of your day. I have recently started using an app called Buffer which allows you to schedule tweets and automatically post them onto your social media websites so that you can promote your post multiple times a day without having to constantly write up a different tweet every hour. I didn’t start this blog with the intention of getting ‘free stuff’. I started it because it was something I have always wanted to do - I loved writing, I loved beauty and I loved reading other blog posts. My blog opened up a whole new door of opportunities for me one of which is collaborations; I have been able to collaborate and review with Spectrum Brushes, Technic Cosmetics, W7 Cosmetics and more. Not to mention the amount of new friends you will make via the blogging community. This may not happen with everyone but for me personally, I have spent a hell of a lot of money when it comes down to blogging. I am always wanting to buy the latest beauty products so that I can review and share them with my readers and when I first started with this blog, I spent my money like there was no tomorrow lol. Then there’s the blogging equipment – cameras, editing apps and even blog props (which are one of my favourite things to shop for) I don’t know about you but since I’ve been taking my blog a bit more seriously every piece of decorative homeware item I see always seems to be a “great blog prop”. I have honestly never come across people as supportive as bloggers (apart from my close friends and family of course). I have made some wonderful online friendships throughout my years of blogging and cannot even begin to describe how lovely and supportive everyone is about me and my blog. Considering when I first started I thought no one would ever read this little blog of mine, it makes me super happy knowing I have some amazing people on my side even if I have never met them in person. Every single time I saw someone talk about writers block, I didn’t believe it. I was always full of ideas when I first started out and wanted to write multiple times each day. Nowadays, I get major writers block and now I completely understand why people get so annoyed because the struggle is truly real. At the end of last year I stopped blogging completely for a few weeks as I wasn’t able to come up with any content and it made me so upset that I thought of quitting my blog forever (thank god that didn’t happen). The ideas soon come flowing back naturally and it’s important to realise that sometimes it’s okay to just take a break from everything. I am so glad I managed to stick with this blog as it’s now a huge part of my life and it makes me super happy. I’d love to know if you can relate to any of these points, or if you have some of your own? If there’s one thing I can’t resist, its palettes. Eyeshadow has always been the number one product that I have loved ever since my early teenager years. I would come into school wearing all these bright colours on my eyelids, my personal favourite being my baby blue and yellow combo (god, I was a mess). I was going through my collection recently and realised that I have a lot more high end palettes rather than drugstore ones which really surprised me as I am more of a drugstore makeup junkie in general. 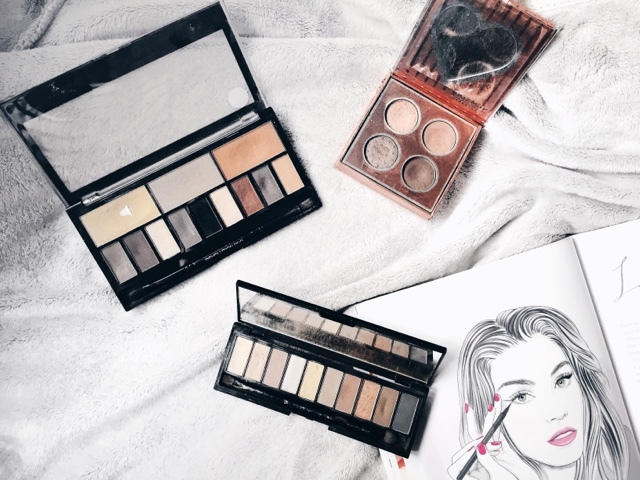 I picked out three of my favourite drugstore palettes that I am currently loving at the moment and as you can tell I am a huge fan when it comes down to neutral shades. I have watched and loved Tanya Burr for years so as you can imagine, I was super excited when she brought out her makeup line. When the soft luxe collection came out I was immediately drawn to the ‘birthday suit’ quad as the shades were very warm toned and that’s what I usually tend to lean towards. The eyeshadows themselves swatch beautifully and blend out well on the eyes due to the buttery texture of them, they’re also extremely pigmented which is something that can lack in drugstore eyeshadows from what I’ve experienced. You can create many different looks with this palette from an everyday neutral to a night-time smoky eye. I don’t have a lot of products from L’Oréal as I kind of just stick to Maybelline or Rimmel. I got this palette one year for Christmas and immediately fell in love with it. The palette consists of 10 pigmented shades which are mostly warmed toned however they threw in a few cooler toned shades. What I like most about these eyeshadows is the fact that I don’t need to use an eyeshadow primer beforehand as they blend out perfectly well on their own and they have the right amount of pigmentation. Just like Tanya Burr’s palette, these are perfect for daytime wear and evening wear as they have a choice of lighter to darker browns and matte to shimmer eyeshadows. Makeup Revolution is without a doubt my favourite drugstore makeup brand. For my birthday my boyfriend got me this Light & Shade palette which I have been going on about for ages, it’s an exact dupe for the Kat Von Dee’s Shade & Light palette which I have wanted for a long time but I can’t justify spending £40 on it when I can get a dupe for £8. (Who heard about the Kat Von Dee/Makeup Revolution drama by the way? Awkward) I much prefer matte eyeshadows in a palette so when I saw that this was a palette filled with 12 matte shades, I was shook. The palette is somewhat broken down into 3 little quads consisting of warm and cool tones for pretty much every skin tone. For a £8 palette, the pigmentation is insanely good and the shadows last on my lids for hours with and even without a primer. I’d highly recommend checking out some of their palettes if you haven’t already. 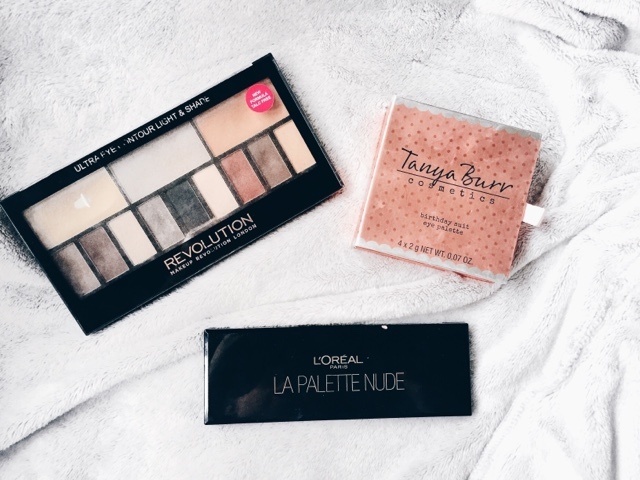 What are your favourite palettes from the drugstore? After having a recent heart-to-heart chat, it kind of sparked a feeling that I’ve always seemed to have lingering in the back of my mind: that I have never felt good enough. I have always been that person who never really ‘fitted in’ with anything starting from my school years. I was quite shy and always felt as if I was not good enough to share a table with the ‘cool kids’ or felt like I couldn’t wear certain clothes without the fear of being judged by everyone. Sometimes I can be really awful to myself and constantly compare myself to other people no matter how many times my friends and family reassure me. This is something that I am slowly coming to terms with. When someone feels the need to judge or abandon you; it’s about them and their own insecurities, needs and restrictions. Your worth isn’t dependant on other people’s acceptance of you. You are allowed to voice your opinions. You are allowed to defend your beliefs. You are allowed to share your thoughts and you are allowed to hold onto the fact that you’re good enough. Whether it’s a relative, a colleague, a significant other or even friends – you shouldn’t make room in your life for people who only just cause you pain and unhappiness. If you constantly dread being around them or you feel completely exhausted/angry whilst with them OR if they continuously make you feel small, then you need to get rid. Ain’t nobody got time for dat! I guess the message that I’m trying to get across here is that if you’re ever having a bad day, please remember that you are and will always be enough. Be yourself in life and let people see the real, imperfect, flawed yet beautiful person you are. Before we get started with the post, can we just take a minute to realise that we are nearly at the end of March!? It’s been something that has crossed my mind a lot recently and its crazy how quickly time flies. Moving on, I can’t even remember the last time I did a favourites post. I usually write about what sort of beauty products I am currently loving however for today’s post, I want to write about some non-beauty favourites that I have been obsessing over recently and I feel like this would be an awesome way of getting to know me better on a more personal level. I went to Chichester not too long ago and I saw a girl wearing this exact jumper with a cute black denim dungarees and I was completely obsessed with the whole outfit. Of course, me being me I was too anxious to go over to her and ask where it was from (lol) so I ended up spending what seemed like f o r e v e r online trying to find that exact jumper. I had no luck until the other day; I took a trip into Brighton with the boyfriend and I found the jumper sitting in the sale section and there was only two left. I grabbed it as soon as my eyes caught it and I did a little excited squeak and told my boyfriend how I’ve been wanting this for ages! As you can imagine, I cannot stop wearing it. I’m obsessed and it’s the comfiest jumper ever AND for £10, who’s complaining? Not me. Thank you, thank you, THANK YOU to my best friend Taylor (tmaemakeup) for getting me into hoop earrings. I’ve had my ears pierced since I was 2 yet I have just never really been an earring kind of gal. My friend wears the prettiest earrings and I love when she wears hoops as they look amazing on her. We went shopping a while back and I decided to pick up a pack of 5 different sized hoops for just £1 in Primark (oh Primark, you absolute gem) and I have been wearing them non-stop. I don’t know why I was too scared to wear them, I guess it was because they were very out of my comfort zone and I was nervous in case they didn’t suit me but at the moment, I’m very happy with them. If you haven’t heard about this new show then WHERE THE HELL HAVE YOU BEEN? Riverdale is without a doubt one of my favourite shows on Netflix at the moment although I am a bit annoyed by the fact that we have to wait until the 31st until the next episode. Nevertheless, I still love it. The show is set in a small American town and it follows the murder of Jason Blossom, a football captain at Riverdale high school. That’s literally all I’m going to say about it because I think that EVERYONE needs to watch this show and find out how amazing it is for themselves, it’s full of twists and turns. If you love Pretty Little Liars then you’ll definitely love this. Who doesn’t love a good roast dinner? I have no regrets when I say that I went to Toby Carvery 3 times in the space of a week and a half lol please don’t judge me. Whenever there’s an opportunity for a roast or even just food in that matter, I can’t resist. Plus it’s a cheap alternative as it only costs like £7 for a massive plate of meats and crispy potatoes and that huge Yorkshire pudding you get and just ugh, I’m getting way too ahead of myself now. Just go to Toby’s yourself and then you’ll realise why I’m so in love. What have been your current non-beauty favourites? Saturday was one of the most perfect days I’ve had in a while. I usually work pretty much every single Saturday however I wasn’t this weekend so myself and Alex (the boyfriend) decided to have a well-deserved date day/night and it was wonderful. 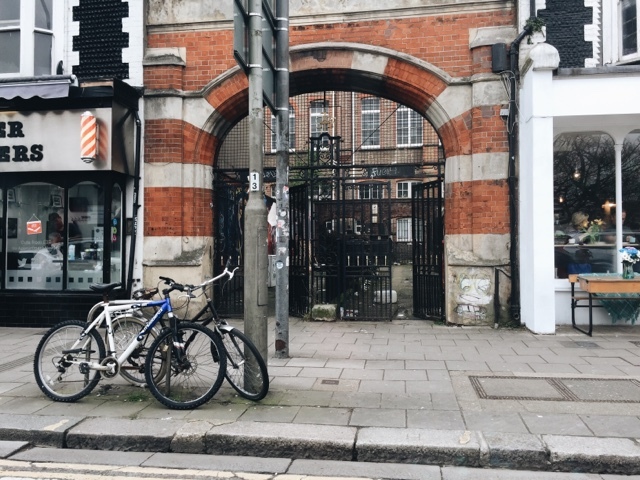 We spent the morning down in Brighton which is one of my favourite places to visit. We did a bit of shopping, walked hand in hand along the pier and scoffed our faces with donuts which I don’t regret in the slightest. We took the car ride back down to our town and went to cinema then spent the evening at one of our favourite restaurants for dinner. It was an awesome day. After seeing so many wonderful reviews about “The Life-Changing Magic of not Giving a F*”k” I purchased a copy for myself and finished it within a few days. I felt like a brand new women. That book gave me so many feels and honestly changed my whole perspective on life. It taught me on how to get rid of the things in life that shouldn’t matter and to focus on the things that you should give a f*^k about. All my life I have had long hair and I have always been too afraid to even cut the split ends off with fear that my hair will look ‘too short’ let alone chop off 10 inches of it. I cut my hair a few weeks back but this week I decided to go even shorter and I really love it. It’s just about shoulder length and I honestly don’t understand why I didn’t do it any sooner to be honest. My hair is so healthy looking and it feels super thick since going short. As everyone knows by now that Ed Sheerans new album got released at the beginning of this month (if you didn’t know, where the heck have you been?!) It wasn’t until this week that I started to listen to the album properly over and over again. I have loved Ed for as long as I can remember and this album of his literally gave me all the feels. He really does have a way with words and all of his songs are just perfect. Yep that’s right. I went to see Beauty and the Beast. It was everything I wanted and more. Took us absolutely ages to try and book the cinema as it was constantly all bloody sold out on most of the screenings but we got there in the end. From the visual effects to the characters and the songs – it was stunning. What has had you smiling this week? I have been following Caroline Hirons for a good year and a half now. When it comes down to skincare tips and advice, her blog is my go to place. 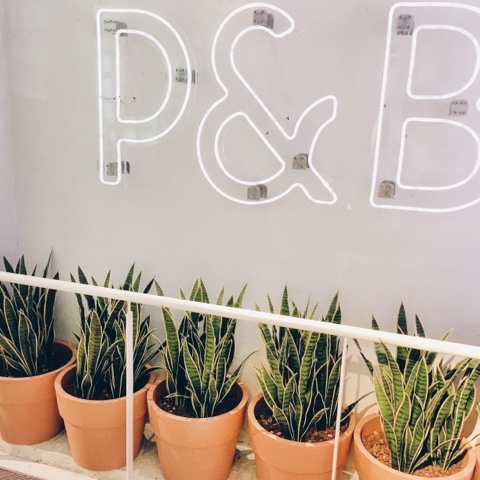 Caroline and a few other influencers have teamed up with Pixi to create a bunch of fabulous collaborations which you can find over here on their “what’s new” section. As soon as I heard that Caroline was bringing out a double cleanser I was shook and so frickin’ excited to say the least. 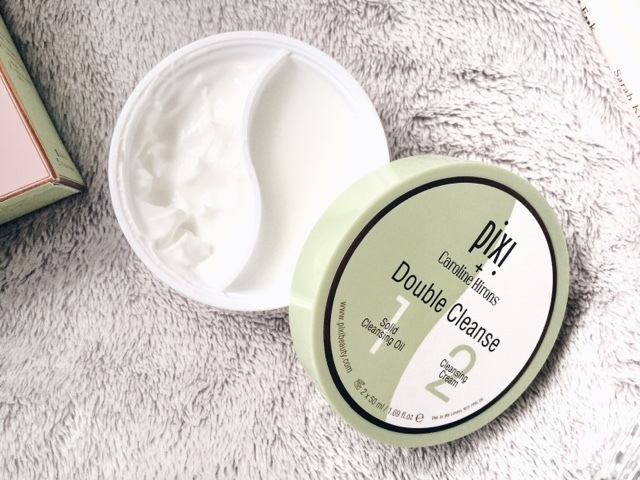 I found out about double cleansing through Caroline’s blog and it’s something that I have been using in my skincare routine a lot more often. I use cleansers anyways as I don’t like the feel of makeup wipes, they seem to be harsh and rough on my sensitive skin and it just doesn’t work out well for me. You start off with your first cleanser, preferably something oil based to help remove the bulk of your makeup and to help get rid of any sweat and dirt. Oil based cleansers are becoming very popular recently and they’re also generally safe and gentle to use around your eyes. After rinsing that away, you move onto the second step which is cleansing your face again but with a cream cleanser to actually cleanse your skin. Caroline recommends to massage a cream cleanser into your skin for a good few minutes and I believe she has a post on how to massage your face properly. My initial thoughts about this product was ‘what a flipping great idea’ I’m surprised that no one thought of doing a double cleanser in one tub before?! Genius. The packaging is absolutely beautiful. The plastic tub feels sturdy yet not too heavy and the design is simple yet tells you exactly what the product is all about from the first glance. Inside the tub contains two separate compartments: one for the oil cleanser and then one for the cream cleanser. Both sides contain 50ml of product each. I immediately noticed how this product doesn’t have any scent to it, which is perfect for me as I suffer with sensitive skin. Too much fragrance can actually break me out more and my skin can become very irritated. The product claims to be suitable for ALL skin types which is great! The solid cleansing oil instantly melted into my fingers from the warmth of my hands, making it easier to apply to my skin. I massaged this into my dry, makeup caked face and simply watched the magic happen as it dissolved and melted all of my makeup away within seconds. I’m talking the stubborn mascara, the matte liquid lipstick and those layers of foundation, cream contour and powder – literally the whole ‘shebang’. I mean, I looked ridiculous afterwards with all this melted makeup on my face but after rinsing it away with a cloth and some warm water, my skin felt tremendously soft. Moving onto the cleansing cream side of things, this was definitely my favourite part mainly because I prefer using creams rather than oil cleansers. Whilst massaging this cream into my skin, it felt very luxurious and silky smooth. I like to massage it into my skin for a good few minutes so that the product has enough time to sink into my skin before rinsing away. I can honestly say that my skin has never felt so soft and clean in its entire 20 years of life. The cream didn’t leave any leftover residue on my skin and I felt like I didn’t need to moisturise afterwards because my skin already felt super hydrated. 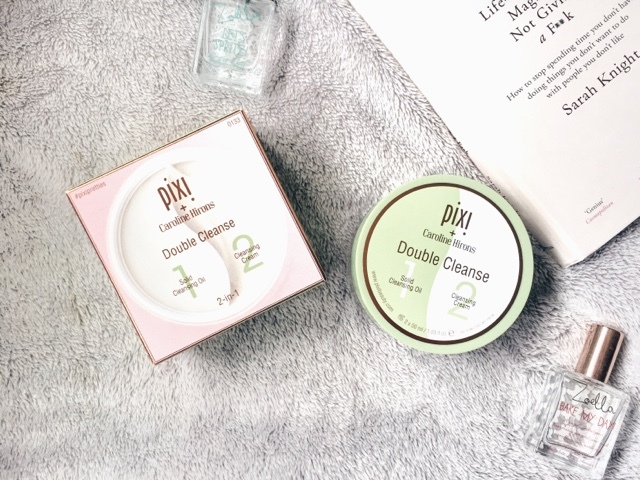 I believe having a good skincare regime helps massively with how your makeup applies and looks on the skin, I would 100% recommend everyone to try out double cleansing at least once in their lifetime and see how it works out. I am certainly never going to stop it. This product retails for £24 online at Cult Beauty or in stores at Marks and Spencer. Have you tried out this product yet? We’ve all been there with the ‘cake face’ at some point in our lives. Multiple times for me in fact. It’s so easy in my opinion to go a bit overboard with foundation, if you don’t think you have enough coverage then you tend to layer more and more on when you can actually cover the rest up with concealer and powder. 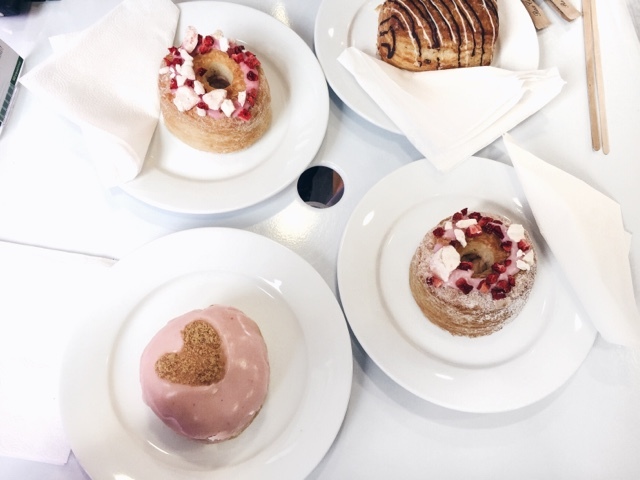 I’m going to share with you some of my top tips on how to avoid cakey foundation. Just a quick disclaimer: I am in no means a makeup artist, these are just some of the techniques that work on my skin. Makeup has no rules, it’s an art and you can do it however you want to do it. I neglected having a good skincare routine for a while but it honestly helps so much with the application of makeup and also the finished result. I like to make sure that I take off every last big of makeup at the end of the day by using a face cleanser to break down and dissolve it from my skin. I use a gentle face exfoliator twice a week to get rid of any dead skin and impurities that may be hidden in my pores and a good moisturiser is always vital when it comes to keeping your skin hydrated. I feel like having a good skincare routine make my makeup go on a lot smoother and it ends up making my base makeup more flawless looking. Primer is essentially a base for your foundation which allows it to go on smoother and last longer. There are so many different formulas of primer available for different skin types – they have hydrating primers for dry skin, smoothing primers for those who have more open pores, brightening primers for the dull skin and many more. After applying my primer, I like to let it sink into my skin for a few minutes so that it can absorb fully. This is the biggest mistake I make when it comes to the application of foundation. When I first started off with wearing foundation I would cake and layer it on like there was no tomorrow, it was a bit ridiculous. The trick is to gradually build the foundation up to your desired coverage, this way you don’t end up caking so much of it on all at once. I like to start off with one pump of foundation and if I need more on certain areas then I’ll gradually build it up however I am currently using the Milani 2 in 1 Conceal & Perfect foundation at the moment which is very full coverage, I find that one pump of this is enough to cover my whole face. Using a damp beauty blender/sponge to apply foundation with will help to make it look more natural rather than it look like the foundation is sitting on top of your skin. If you’re like me and you prefer using a brush for your foundation then great, however sometimes I feel like a brush can make my skin look a bit textured and cakey therefore I like to go over my face with a damp sponge afterwards to help get rid of any excess foundation that may be sitting on top of my skin. I like using translucent pressed powders to set my foundation with. I find that many times, I have gone a bit too overboard with the powder that it ends up making my face look dry, textured and just overall ‘powdery’. I’ve recently learnt to be a bit more weary of how much powder I put onto my skin, you only really need a little bit to set your foundation with. Which brings me onto my next point… setting spray. This will not only set your makeup for it to last all day long, but if you have accidentally applied too much powder then the setting spray will help to get rid of that powdery look as well as making your skin look healthy. Mac Fix+ and New Look Fix setting sprays are my two favourites. 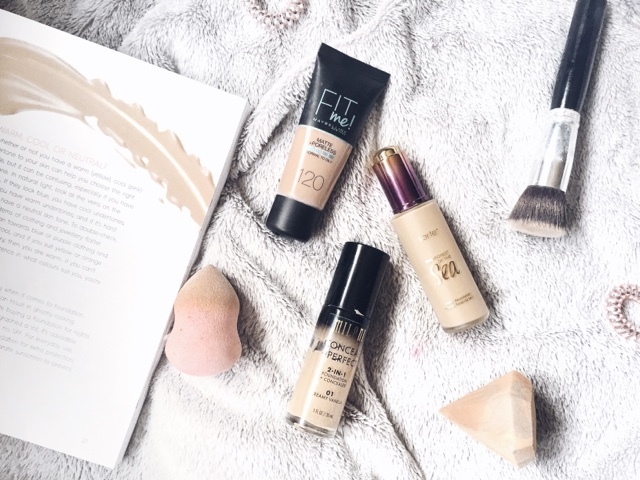 I’d love to know some of your favourite tips on how to avoid cakey foundation! I’m going to start this post off by saying hello and I hope you’re having a great day. I have been feeling a bit down in the dumps this week whilst also trying to fight off a horrendous cold that I all of a sudden got out of nowhere – this has caused me to become very unmotivated with my blog and I just haven’t felt inspired to write anything. 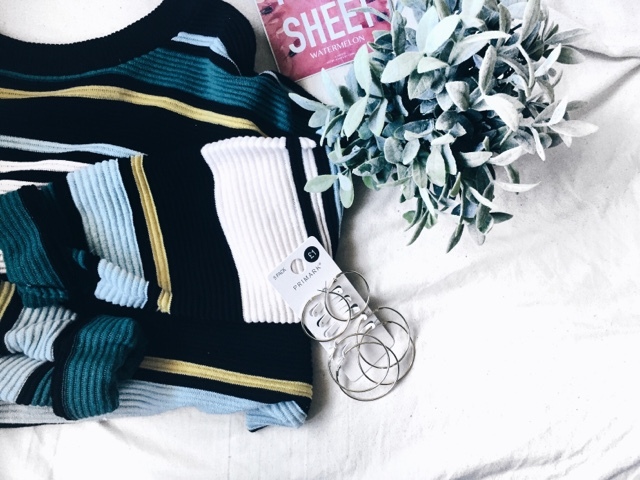 This post is going to be a bit different to what I would normally write, but I feel like where I haven’t been inspired to write up a beauty post, I have all of a sudden been in the mood to write a chatty one. Although some of you may not care about any of this and that’s okay – I have got ideas for upcoming beauty & lifestyle posts in the future, I just need my motivation back to start writing them. I started ‘fading tulips’ back in March 2014. 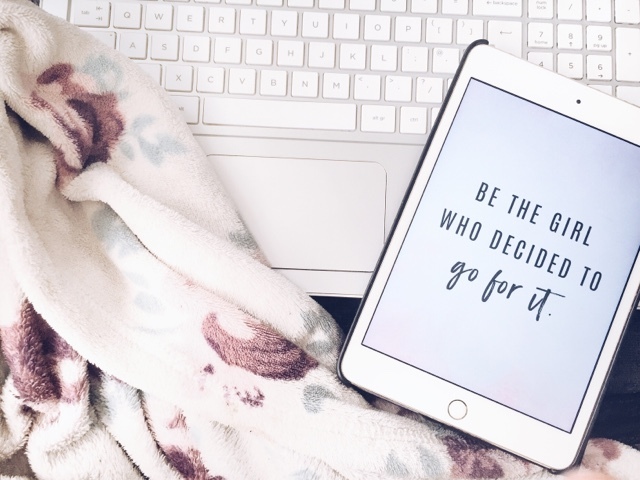 I loved reading other bloggers posts and I hesitated about starting my own blog for a few months as I was so scared about what other people would think. When I plucked up the courage to actually write something, I didn’t tell anyone. My boyfriend was the first one to find out as he caught me writing a post and then I told my best friend a few weeks later. It slowly became a thing that I wasn’t afraid of telling people anymore as blogging was getting bigger and bigger by the minute. 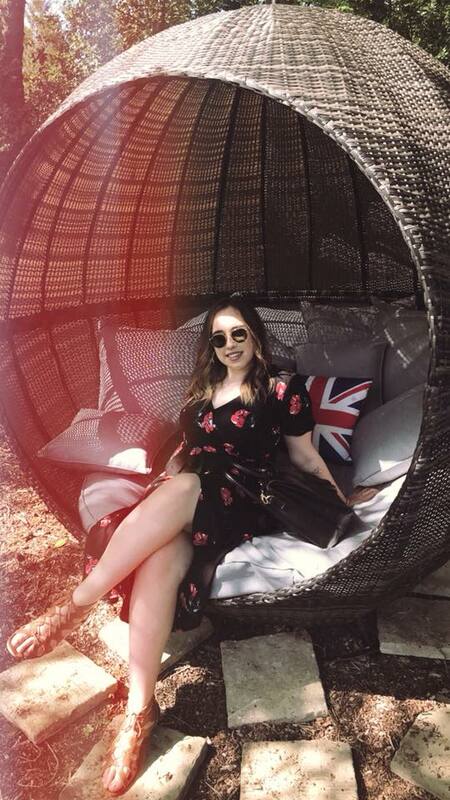 Blogging was and still is one of my biggest hobbies and I never thought back in 2014 that I’d have such amazing opportunities through it such as: being able to work with some great beauty brands, have a decent amount of followers & views and also meeting new people and making new friends through social media. Looking back at that 16 year old me and I just think to myself, what was the point in worrying? Everyone nowadays is so supportive of my blog and to those that aren’t – why should I care? I blog to make myself happy and of course, it’s great when other people love reading my blog but I should write about whatever the hell I want. Which brings me to my next point (sort of): What is happening with my blog content? I started my blog purely writing about Fashion and Beauty as I loved writing about those two topics so much. At the end of last year, I was lacking with everything blog wise. I had no motivation or inspiration to write about anything until the beginning of this year came along and I got that motivation back by reading a bunch of other blog posts and decided I’d like to get into the more lifestyle side of things. 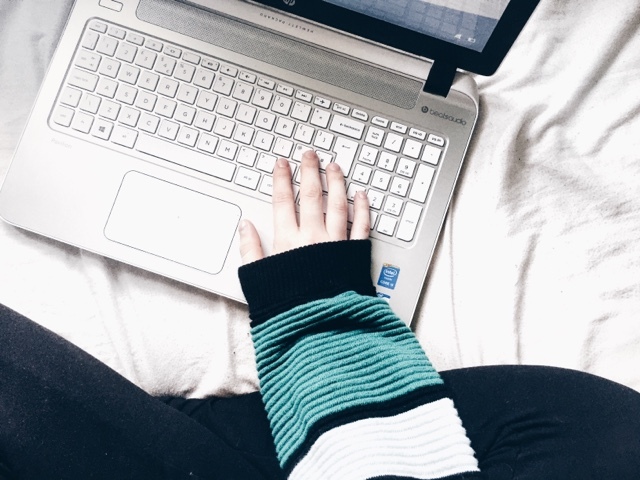 I started creating posts such as: ‘Struggles All Bloggers Can Relate To, Things to Do When You’re Feeling a Bit Sad and What I would Tell My 15 Year Old Self’ – it made me realise how much better my writing was whilst creating these posts and I loved writing them a lot more than constantly raving about beauty products. Don’t get me wrong, I still love to do the odd beauty posts here and there on my blog because I honestly still love writing about those things too, however from now on my content is going to be a bit more chilled, laid back and not so serious. I hope that’s okay. I have finally gotten to the point where I feel happy with my blog content and I hope you guys will continue to read and support my blog because it honestly means so much to me and I appreciate it loads. If you managed to read this the whole way without getting bored then thank you. I promise my next post won’t be so chatty and boring!